Callaghan Country’s unique offering of wilderness ski and hiking adventures await you just over one hour's drive from North Vancouver. Our base facility, the Alexander Falls Touring Centre, is nestled i8.5km up Callaghan Valley Rd, off Hwy 99. On the left side of the road you will see a big red sign for 'Ski Callaghan'. Turn left here, in between the majestic Alexander Falls sightseeing platform and the entrance to Whistler Olympic Park. This is where all of our ski and snowshoe adventures begin. 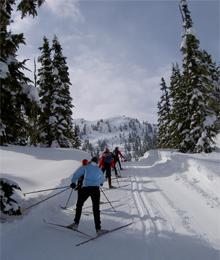 From here all of the more than 100 kms of day use cross country ski and snowshoe trails (including Whistler Olympic Park) are accessible. 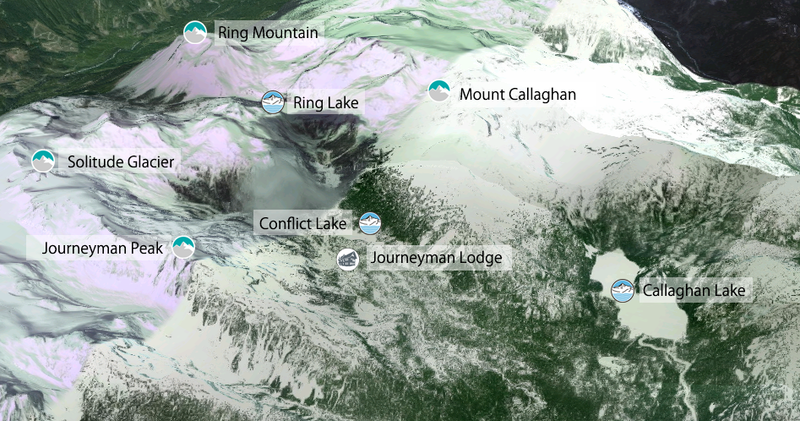 Overnight accommodation is located 13.8 km ski from here at the remote Journeyman Lodge. 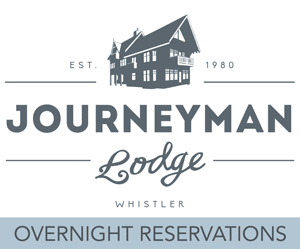 Journeyman Lodge is a reservations based mountain Inn offering a range of accommodation suited to every adventurer’s budget. 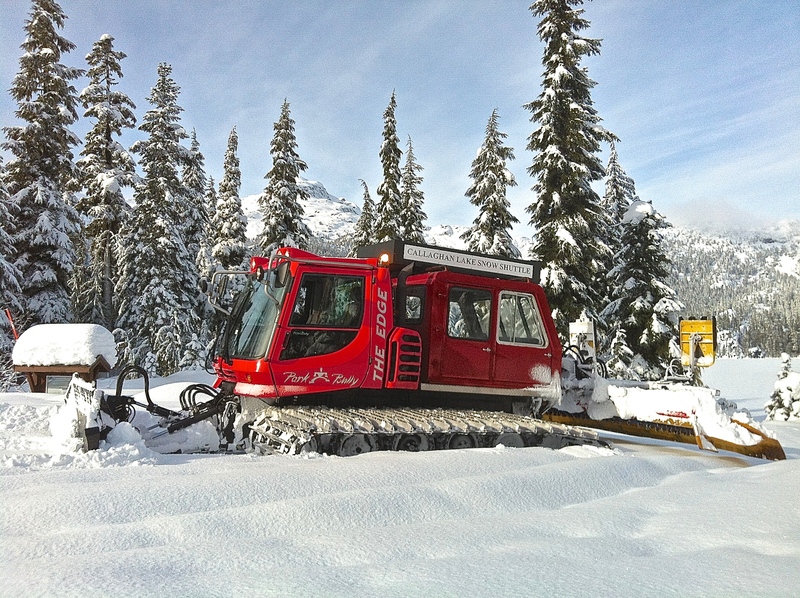 We also offer flexibility in length of stay and range of self-propelled winter recreation pursuits. For overnight guests not able to ski up the 13.5 km to the Lodge or who are just wishing to preserve their energy for other adventures, we do offer alternative access options including packaged services (Weekend Escape, 3-Day Tailor Made Ski Touring pkg, and Local's Backcountry Blitz). We also offer all overnight guests an add-on option of mechanized transfers (daily@ noon). There is also a heli-pad located outside Journeyman Lodge for guests who wish to coordinate fly-in access. NOTE: Whistler is in the heart of the Coast Mountain Range, and we are famous for our winter storms and abundant snowfalls. While this powder is what makes the skiing here so incredible, it can create difficult driving conditions on Highway 99. Please be sure that the vehicle you are traveling in is equipped with good winter (snow) tires, and if you need extra confidence, carry chains. *For an idea of what to expect check our Current Conditions Page >> or Click Here >> for a link to an automated road forecast. 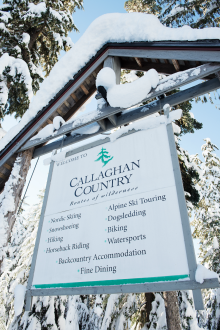 We encourage guests to cross country ski from the base at Alexander Falls to the Lodge – it is a 12.5 km or a 13.7 km ski to the lodge, depending on which access trail you take. Either way, the elevation gain is about 560m (1,850′). We will take all of your gear in for you, and leave you to enjoy the tranquility of the majestic old-growth forest as you kick & glide your way to the lodge. 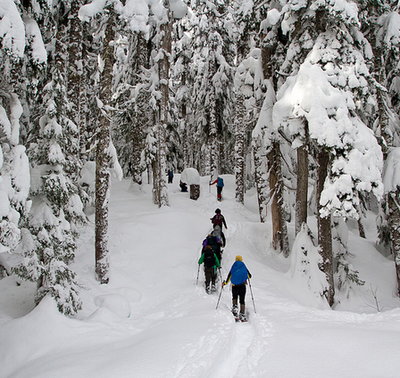 It takes an average recreational skier between 3 – 4 hours to ski to the lodge. Elite skiers can skate up in about an hour. It takes about half as long to ski out because it’s almost all downhill on the way out! 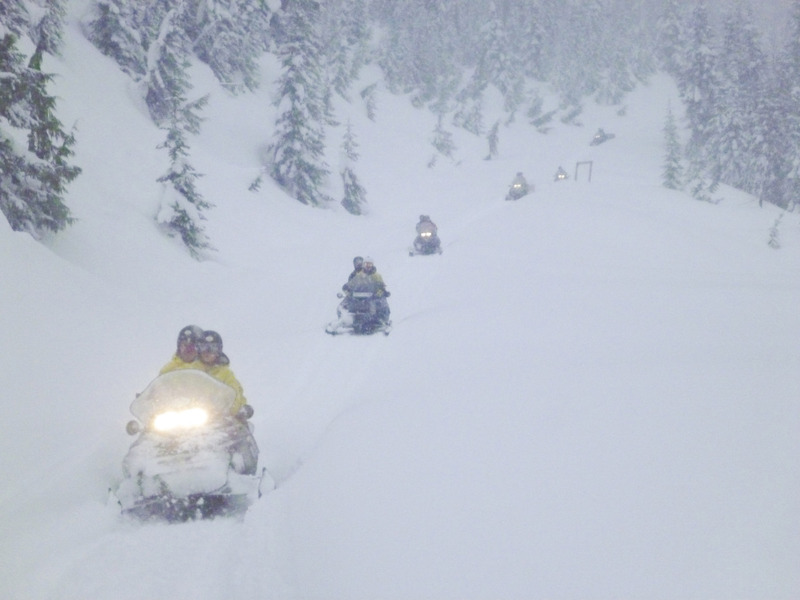 Should you prefer to save your energy for the upper valley trail system, we can arrange to transport you from the staging area to the lodge by snowmobile. Helicopter service from Whistler’s municipal heli-pad can also be arranged (Additional charges will apply). It takes about 45 minutes by snowmobile to reach the lodge. By helicopter, flights leave from Whistler’s municipal heli-pad, and take about 12 – 15 minutes. During the summer months, it is not uncommon to encounter wildlife on Callaghan Valley Road. Please do not stop as it causes potential dangers to both the wildlife and other drivers. It’s a beautiful drive, but be careful! Follow the Callaghan Lake Forest Service Road to Callaghan Lake. It is about 8.5km from the Callaghan Country base to Callaghan Lake on a rough road and it takes about 20 – 35 minutes. We recommend using a vehicle with good clearance (4WD preferred). The trail to the lodge begins about 250m before you reach the lake – look for the sign on your left. There is a small clearing just off the road – park here. From here, the hike is 4.5 km and will take between 1.5 – 2 hours depending on your ability and fitness level. Turn left right after crossing the bridge and drive into the parking lot. Park here. From here, bike up the Callaghan Lake Forest Service Road. You will see the turn for Wild Spirit Trail on the left approximately 500m up the road. Turn left onto Wild Spirit Trail and follow this rough track 12.5km to Callaghan Lodge. You should allow 2 – 3 hours for the ride in (elevation gain: 560m). Helicopter service from Whistler’s municipal heli-pad can also be arranged (Additional charges will apply).